Had a good morning today. 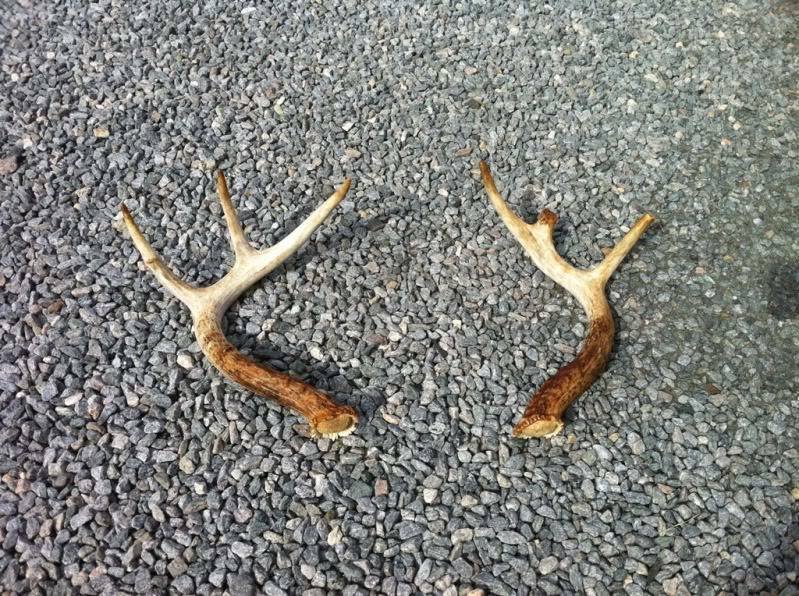 Went into an area where I always pull sheds out of and was rewarded with a matched set. I walked right by it last year as it's a two year old set. 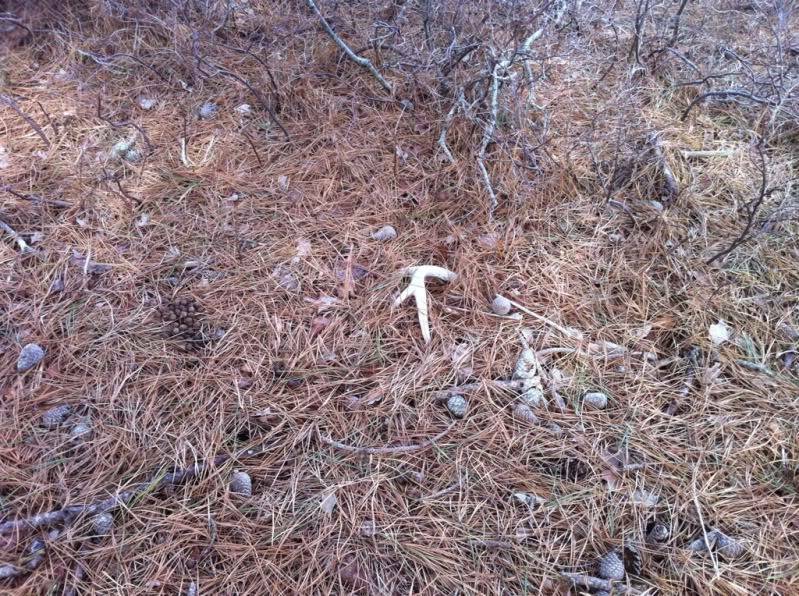 It was under a pine tree where I suspect the buck was bedding, got up and shook. The antlers were laying side by side 3 feet apart from each other. Here's a shot of the set in my driveway. Note the snapped tines. And here's the right side As It Lay. I was so excited that I forgot to take a picture of the set together where I found them. ahh I would love to find a matched set like that ! WTG Congrats on the cool find ! ray12 wrote: ahh I would love to find a matched set like that ! WTG Congrats on the cool find !